Here is our section with news and events in Kefalonia. We write about the most important news in Kefalonia that a tourist might like to know and also about events that take place there, including festivals, art exhibitions, performances and more. Have a look in our events and check if there is something interesting to attend during your holidays in Kefalonia. 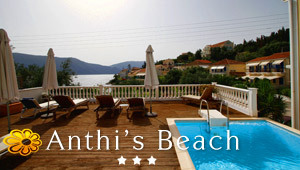 Do you organize an event in Kefalonia? Have you noticed some news about this location that is worth spreading? Feel welcome to submit them in Greeka.com. In order to add your news, you first have to sign up (free) our community or just log in, if you are already a member. Before getting published, all submitted news and events will be reviewed and edited (if necessary) by our editing team. If you find yourself in Assos village Kefalonia on the 24th of August, don’t miss the chance to attend an amazing event: Varkarola Festival! Robola Wine Festival is the most popular event in Kefalonia, having a history of forty years! Local dance groups participate in the festival and perform traditional dances from Kefalonia and Greece in general. You can dance with all your heart till the early hours. The 4th Round Race of Kefalonia is taking place on October 3rd, 2015, connecting Argostoli and Lixouri, the two largest towns of the island. A powerful earthquake shook the island of Kefalonia yesterday afternoon, January 26th, 2014. The earthquake with 5.8 magnitude occurred at 3:55 pm, with the epicenter located near the town of Lixouri. Fortunately only minor damages were reported. EasyJet launches a new route to the Greek island of Kefalonia from London Gatwick Airport. Flights will operate from April 28th, 2012 till the end of October 2012. Married to a local and living to Kefalonia for many years now, Donna Palimeri works as a wedding planner for the last few years now. Among 812 wines that were tasted in the 9th International Wine Competition that took place in Thessaloniki, Northern Greece, a few days ago, the Kefalonian wine San Gerassimo took the silver medal, proving once more the high quality of the island's wine. A strange man called yesterday morning in the Port Authority of Argostoli, kefalonia, and said that a bomb had been put in the ferry Andreas Kalvos. A new project of the shipping company Hollandian Lines and the local authorities of Kefalonia is expected to bring more American tourists on the island.